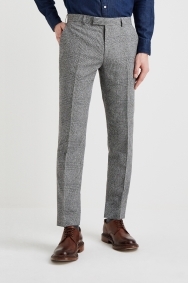 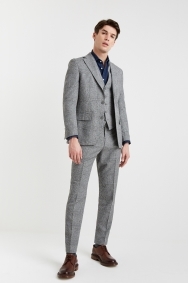 Moss 1851 is all about sharp, style-led tailoring that’s easy to wear. 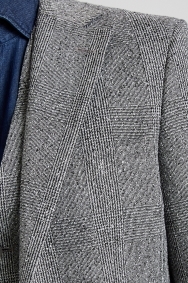 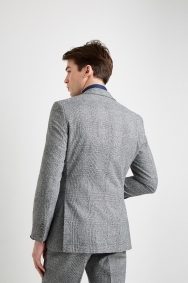 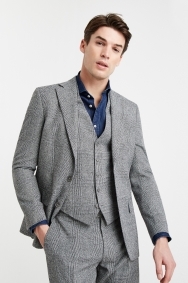 Featuring a textured weave and a monochrome check pattern, this jacket will work for any formal or casual event. 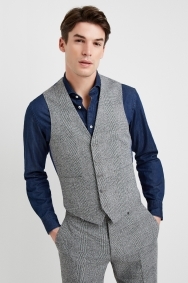 Its unstructured design makes for a comfortable fit and a more natural drape. 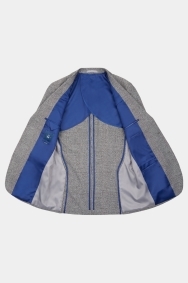 The buggy lining reduces weight and increases breathability, while a slight stretch in the fabric ensures total freedom of movement. 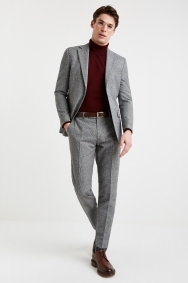 A deep red roll-neck jumper will act as a warmer alternative to a shirt, bringing colour and contrast to your look.